Antibiotics underpin all of modern medicine, but their use is being threatened by growing resistance in bacteria, fungi and viruses. Antibiotic resistant bacteria currently kill over 700,000 people per year globally, but this number is predicted to rise to 10 million if we can’t stop the growth in antimicrobial resistance (AMR). This workshop, led by Associate Professor Mat Upton, will address an issue that has relevance to everybody – we have all felt the benefit of antibiotics and the World Health Organisation states that their introduction has added over 20 years to the human life span. However, a recent worrying development is the announcement by the Office of National Statistics (1 December 2017) that antibiotic resistance has now led to a reduction in our predicted life span. Find out how we screen naturally occurring bacteria for new antibiotics and use cutting-edge DNA sequencing methods to find new antibiotics and identify resistance in bacteria. In this interactive session, attendees will participate in the very early stages of the antibiotic discovery process, and can get hands-on experience of the most advanced DNA sequencing technology available. Key messages on antibiotic use is available on the UK government website. There is guidance on how to use antibiotics responsibly for patients, animal keepers and pet owners, and prescribers. Further information is also available via the World Health Organization website. Antibiotic Guardian supports the UK Antimicrobial Resistance strategy, annual European Antibiotic Awareness Day (18 November) and World Antibiotic Awareness Week. Attendees are able to get involved in the very early stages of the antibiotic discovery process and get hands on experience of the most advanced DNA sequencing technology available. Antibiotic resistance is one of the biggest significant threats to global health that is facing us today. Antibiotics are medicines used to prevent and treat bacterial infections. Antibiotic resistance occurs when bacteria change in response to the use of these medicines. 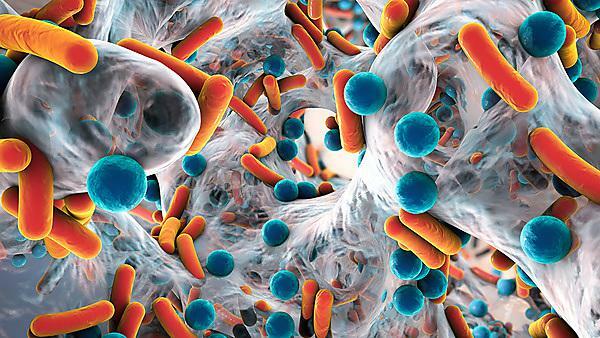 Bacteria, not humans or animals, become antibiotic resistant. These bacteria may infect humans and animals, and the infections they cause are harder to treat than those caused by non-resistant bacteria. Antibiotic resistance is rising to dangerously high levels in all parts of the world. Without effective antibiotics many routine treatments will become increasingly dangerous. Setting broken bones, basic operations, even chemotherapy and animal health all rely on access to antibiotics that work. WHAT WE WANT YOU TO DO: To slow resistance we need to cut the unnecessary use of antibiotics. We invite the public, students and educators, farmers, the veterinary and medical communities and professional organisations, to become 'Antibiotic Guardians'. Antibiotic Guardians’ pledge to help raise the profile of antibiotic resistance – you can sign up via the 'Pledge now!' button above.